After a year of horrible reviews and the horrible "always online" requirement, Simcity is finally getting offline play. "We are in the late phases of wrapping up its development and while we want to get it into your hands as soon as possible, our priority is to make sure that it's as polished as possible before we release it," Patrick Buechner, the general manager of Maxis' Emeryville studio, said in a statement. "In Update 10, you can still play solo in Regions on your own, or in Multiplayer with people from around the world," Buechner said. "What's new is the Single Player Mode, which allows you to play the game Offline by yourself. And because your saved games in this mode are stored locally, you can save and load to your heart's content. Our team will be delivering a follow-up blog that will outline the full details in the near future so stay tuned." This is a very good thing, as reviewers such as IGN were complaining about SimCity not having offline play. You always have to be online, which is a shame, because the earlier "sims" games did not require you to always have a connection to the internet. Now, for those of you who do not know, Simcity is basically a game where you grow and develop a large and successful city. You have to manage your city so that most people have jobs, and most importantly, making sure that YOU are making money. You can also download other player's cities and admire their creations. It is a pretty cool mechanic and adds more playability to the game. There is a single-player mode, but then again, it requires you to be ONLINE! They sure did mess up big-time. In fact, last year, the developers said there will never be a offline mode for Simcity. I really hope we get this update soon as this will make more people get interested, as well as allowing them to take their city wherever they want. What are your thoughts on this? 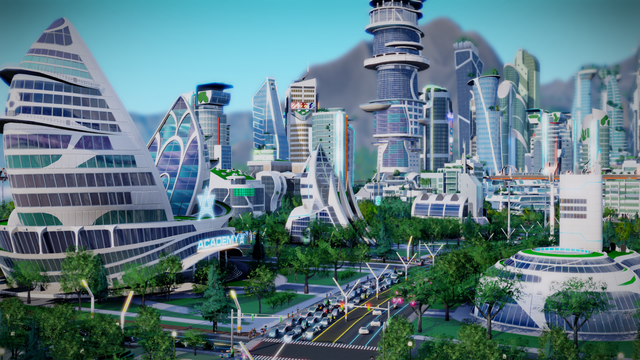 Do you like Simcity? Discuss below.